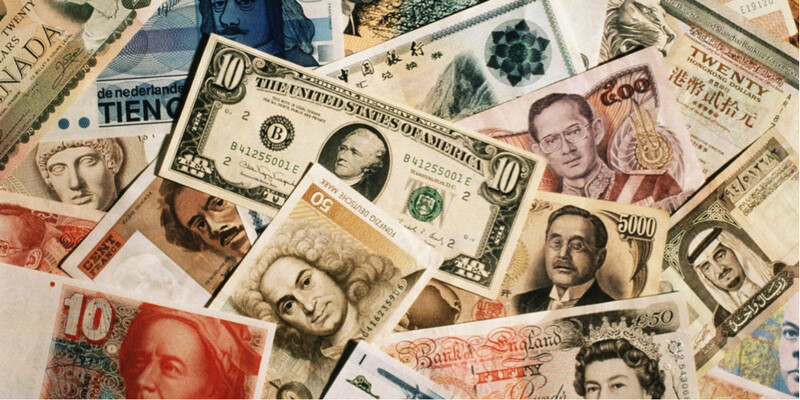 There is no need for you to be physically holding on to large stacks of foreign currencies. Today’s travellers have access to more information than ever before. We use this to get the best hotel deals, book the cheapest flights, dine at the top places and enjoy the best shopping experience. To achieve this, we spend a lot of time researching everything we need to know before our holiday. We even compare and buy travel insurance to protect our holiday plans from any unforeseen circumstances that may ruin it. However, one area that Singaporeans tend to overlook when we plan for our trips is foreign currency exchange. For a large majority of us, the changing of our Singapore Dollar (SGD) for the foreign currency we need usually happens just a few days before our departure. It would be unfair to say that Singaporeans are not knowledgeable when it comes to foreign currency exchange. Many of us also have that one “go-to” friend when it comes to getting the best foreign currency rates at places like The Arcade at Raffles Place, People’s Park Complex or Mustafa. While it takes time and effort to actively search for the best exchange rates in Singapore, there is an undeniable shiok feeling when you know you got an extra S$10 more than your friends because you managed to find the best place to change for your foreign currency. That said, regardless of how much effort you put in for the hunt to find the best exchange rate in Singapore, there are still some obvious limitations to traditional moneychangers that are difficult to overcome. The first is time and energy. Unless you enjoy taking the public transport around Singapore for leisure, the search for the best exchange rate usually makes little economic sense, especially if the few extra dollars you get end up being used for the additional MRT trips you needed to take. Getting the best foreign currency exchange rate also has a lot more to do with when you exchange your foreign currency, rather than where you exchange it. Most Singaporeans focus on the where while often neglecting the when. For example, if you travel often to the UK, you would be tempted to change for British Pound (GBP) in October 2016. That’s when the exchange rate between the GBP and the SGD is at 1.70. However, because you were not travelling immediately to the UK, you may not want to do the conversion yet, preferring instead to do it when you are about to travel. However if you were to do the conversion today, the exchange rate that you get for the GBP/SGD would be about 1.75. No matter how hard you search today, you will not be able to find a GBP/SGD conversion at 1.70. Of course, it isn’t as simple as buying foreign currencies at a good price and only to be storing large quantities of it at home just to enjoy favourable exchange rates. In the cashless society we live in, most people do not even keep that much Singapore Dollar at home, let alone, foreign currencies. Exchanging for large quantity of foreign currency today and keeping them at home for future trips just isn’t practical. A common challenge travellers face is estimating how much foreign currency they would require on their trips. Because of this, people tend to change more than they estimate they would spend, and especially so when they think they have found a moneychanger that offers a good rate. With more money that we actually need for expenses, this leads to unnecessary overspending when we are overseas. For example, people binge spend at the airport on overpriced products like chocolates and souvenirs before they fly back simply because they do not want to bring home any unused foreign currency. Using credit cards when overseas helps overcome the problem of having to accurately estimate how much foreign currency we need to exchange prior to our travel. It’s also safer as it reduces the amount of cash we need to carry around. However, with numerous fees and unfavourable exchange rates, the cost of using of credit cards while overseas can add up to a substantial sum. These include foreign currency transaction fee and a double conversion for foreign currency. The double conversion occurs because any overseas charge is first converted into US Dollar before it’s charged back to us in Singapore Dollar. Read Also: Should You Be Using Your Credit Card While Travelling? By integrating technology with the right financial product, Singaporeans can become smarter travellers. One such product that can help us is the DBS Multi-Currency Account. This savings account is unique because unlike regular savings accounts that only accept Singapore Dollar, the Multi-Currency Account offered by DBS allows account holders to hold up to 12 different foreign currencies in addition to the SGD in just one account. With the Multi-Currency Account, travellers can hold popular foreign currencies of the countries that they frequently travel to. These include the Japanese Yen, Thai Baht, Australian Dollar and of course, the US Dollar. The MCA also allows account holders to buy foreign currency online. When account holders see a favourable conversion rate they like, they can immediately buy the currency via funds transfer and have it automatically stored in a foreign currency e-wallet within the MCA. They no longer have to worry about converting too early before their travel and having to store large amount of foreign currencies at home. For greater convenience during their trips, account holders can also link their MCA as the primary account to their DBS Visa Debit Card. With that, cardholders will automatically be able to pay for their overseas purchases using the foreign currencies that are already in their account. In this way, travellers are able to enjoy the convenience of cashless transactions without incurring any additional foreign currency transaction fee. For example, a traveller who makes a JPY1,000 purchase in Japan (S$12.60) using his MCA-linked DBS Visa Debit Card would automatically have JPY1,000 debited directly from his respective foreign currency wallet. There will not be any foreign exchange administrative fees for the transaction. In other words, you will be spending like a local overseas! Foreign currency transactions extend to online shopping as well. If you are a shopaholic who frequently buy from Amazon or eBay in US Dollars, you would definitely want to have an MCA-linked DBS Visa Debit Card. That’s because you would be paying directly in foreign currencies (i.e. US Dollar), and avoiding foreign exchange administrative fees when the transaction is billed in SGD for settlement. Opening an MCA account and applying for a DBS Visa Debit card can be done easily. You can sign up for both online on the DBS website. For existing DBS/POSB customers, your MCA will be opened instantly when you sign up online. This will take between just 3 to 5 minutes and comes at no additional cost. Think of it as a free upgrade on your existing DBS Savings Account so that it can hold foreign currencies in additional to Singapore Dollar. Travel smart, stay safe, pay like a local overseas!